BLANK CITY tells the long-overdue tale of a disparate crew of renegade filmmakers who emerged from an economically bankrupt and dangerous moment in New York history. In the late 1970s and mid 80s, when the city was still a wasteland of cheap rent and cheap drugs, these directors crafted daring works that would go on to profoundly influence the development of independent film as we know it today. 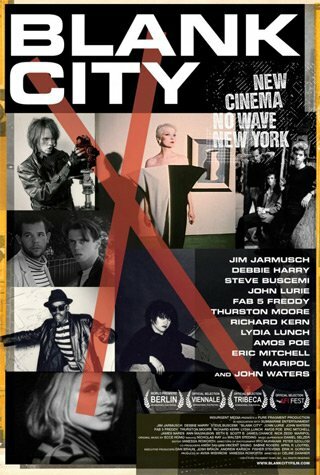 Directed by French newcomer Céline Danhier, BLANK CITY weaves together an oral history of the “No Wave Cinema” and “Cinema of Transgression” movements through compelling interviews with the luminaries who began it all.